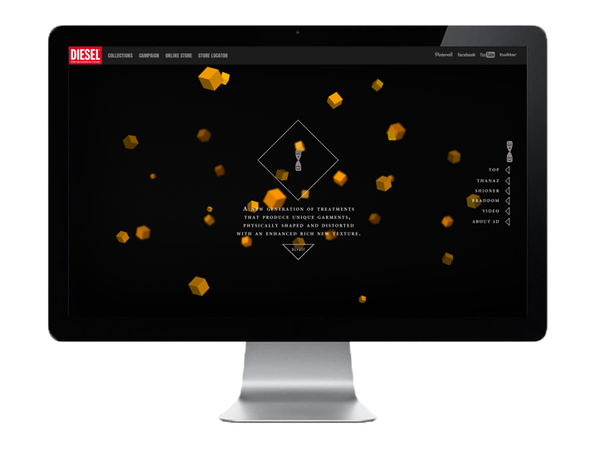 The Diesel project comprises a campaign site and fashion ad for Diesel’s new 3D Evolution denim, a new generation of jeans that have been distorted and enhanced as part of the manufacturing process. 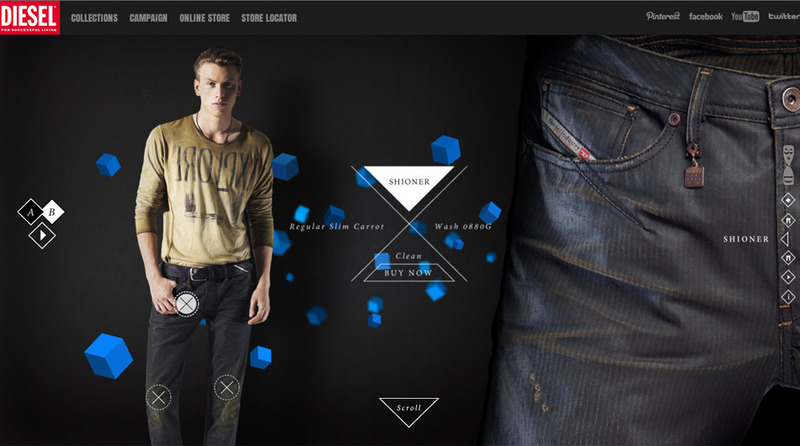 The microsite, built in HTML5 uses photographic models combined with 3D parallaxing cubes to show off the denim line using visuals that communicate the idea behind the product. 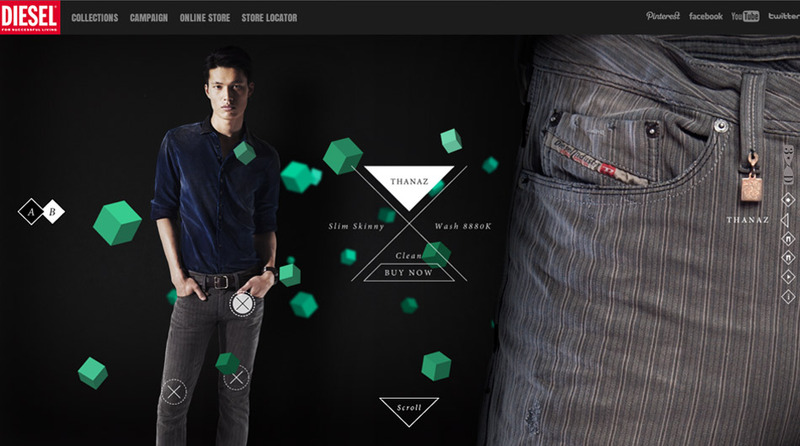 Scrolling and clicking through a variety of hotspots and embedded video showcases, users can discover and experience the new denim series before directly purchasing the products in Diesel’s online store. 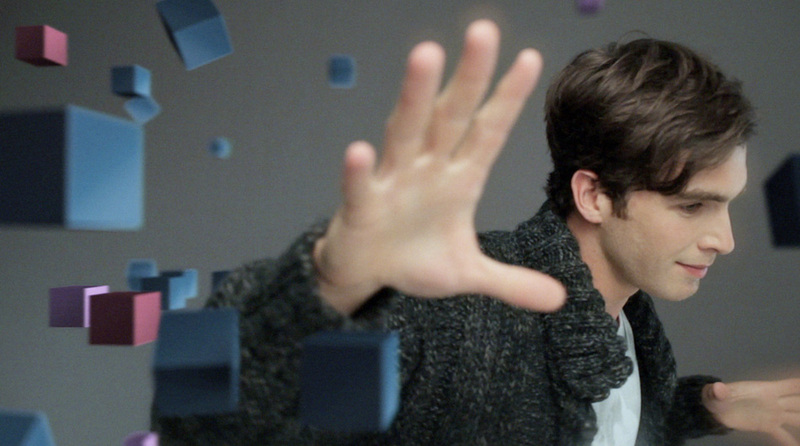 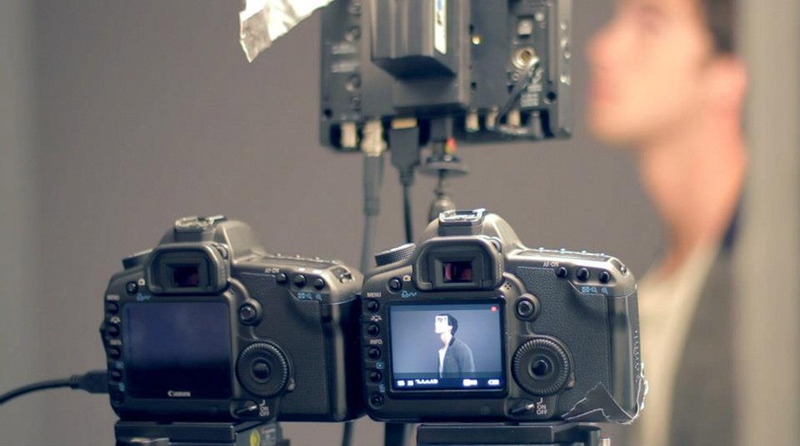 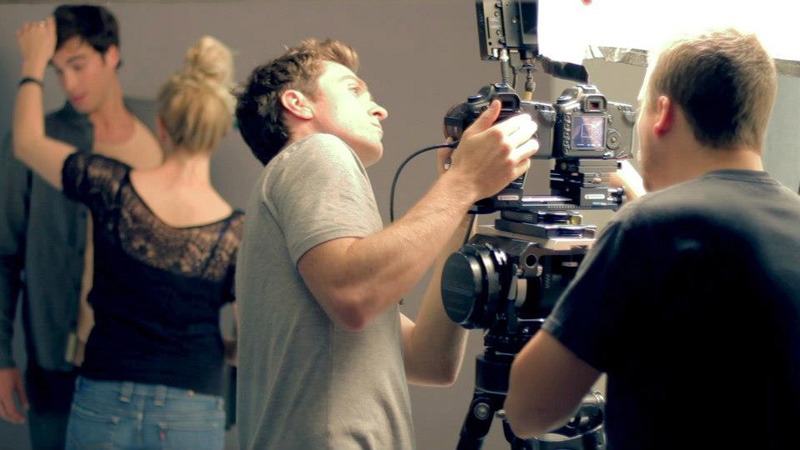 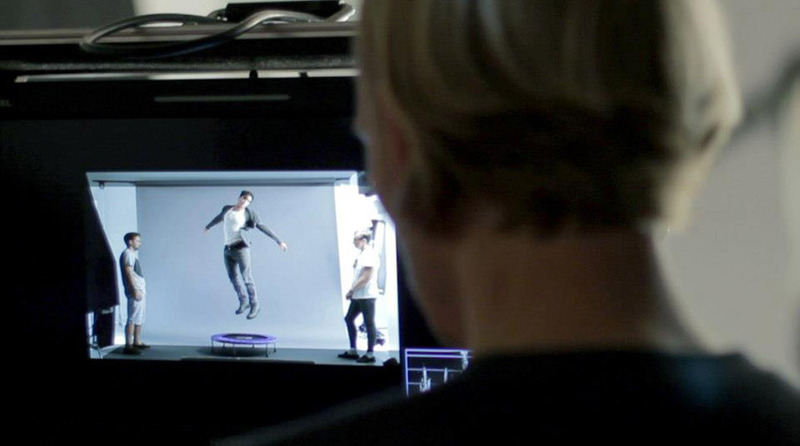 The ad also uses 3D motion graphics embedded within a live action edited dance sequence. 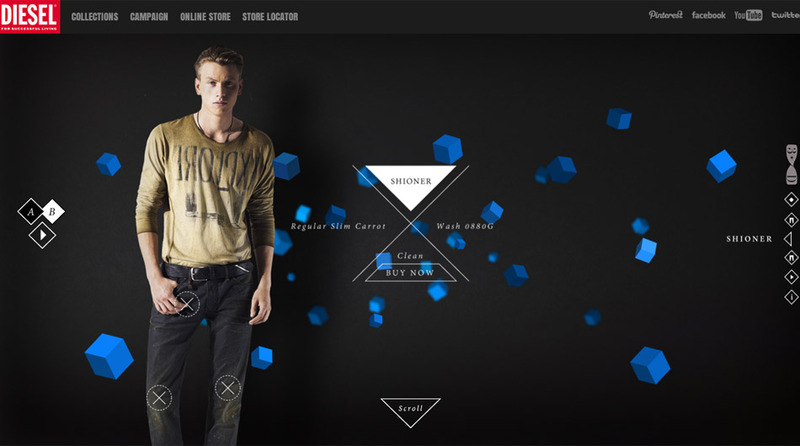 Those two layers combined create a look that visualises the 3D concept behind the products manufacturing, as well as showing off the jeans themselves of course. 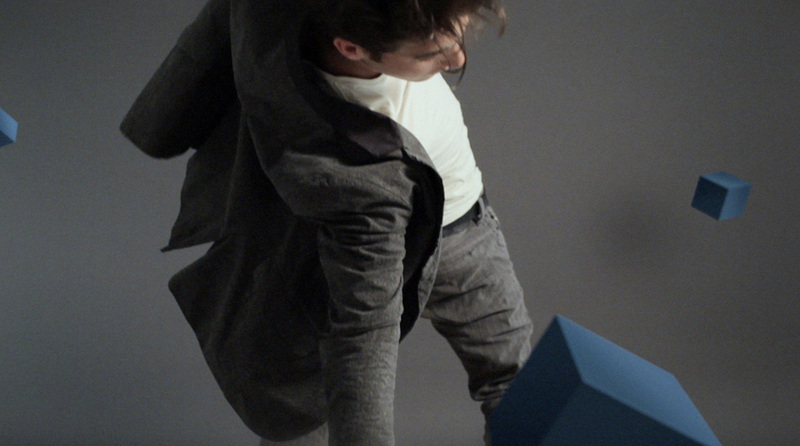 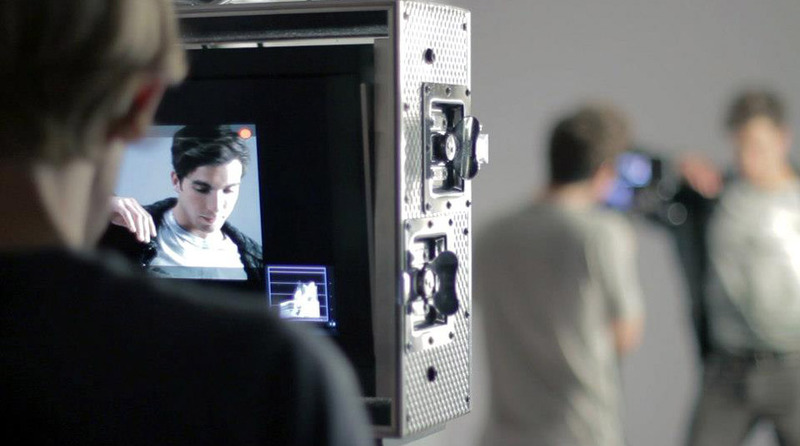 The project was directed by Anrick for our friends from Man+Hatchet.